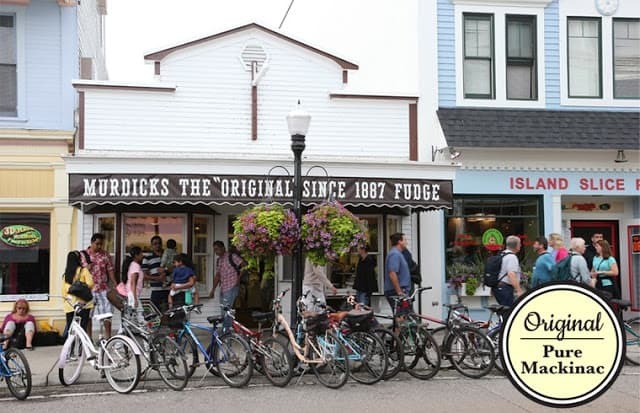 Murdick’s The “Original” Mackinac Island Fudge Since 1887. 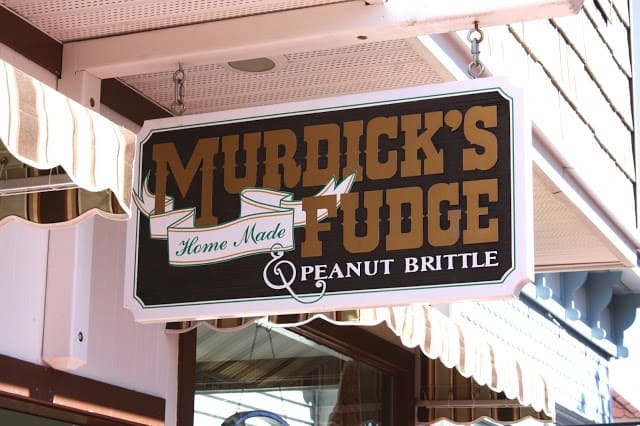 If you don’t have time to make this recipe for Dried Cherry Fudge, order any of the delicious fudge flavors offered from Murdick’s online; Original Murdick’s Fudge Here is a list of just a few of the flavors from Murdick’s. Butter Pecan, Chocolate Cherry, Chocolate Macadamia, Holiday Cranberry, Michigan Maple Walnut and of course, Mackinac Island Fudge. 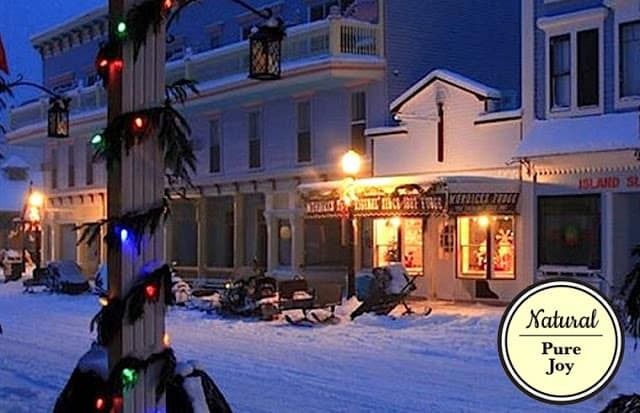 If you ever get a chance to visit the Mackinac Island, Michigan you’ll be so glad you did. This unique experience isn’t something you will soon forget. Make some memories this summer and visit ‘one of a kind’ place. Michigan is well known for it's cherries and fudge. We've combined the two and came up with a fantastic tasting dried cherry fudge. In a 2-quart saucepan bring butter, sugar, cocoa, corn syrup, salt and evaporated milk to a boil. Boil rapidly for 4 minutes. Remove from heat and let stand 5 minutes. Add marshmallow fluff and vanilla. Stir well. Add chocolate chips, letting them melt. Beat until mixture begins to get firm and glossy. Stir in nuts and dried chopped cherries. Pour into a greased 8-inch square pan. Cool and cut into squares. Sounds easy to do and look delicious enough to eat. Great recipe. Thanks and also thanks for stopping by my blog. Appreciate it. Happy Holidays.